Indian Air force conducts STAR online exams for Group X and Group Y airmen. STAR is considered as Phase-1 exam which is an online exam, candidates who clear the Phase 1 exam will go for Phase 2 airmen exam. What all happens in Airmen Phase-II exam is mentioned in this article. Candidates should be in possession of the documents mentioned above, when appearing for the Selection Test which would be scrutinized/ verified prior to the commencement of Phase – II to ascertain the eligibility prima-facie. 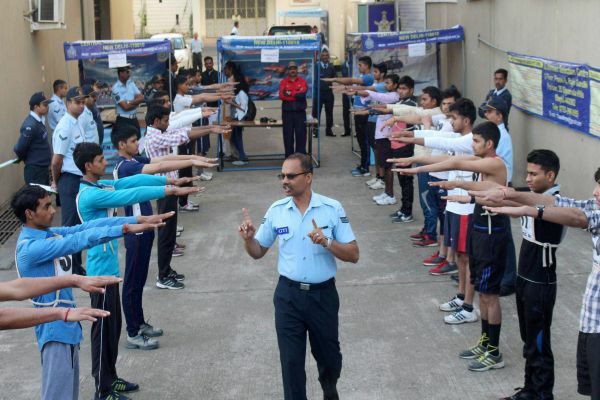 Physical Fitness Test (PFT) Candidates who pass Online Test and are shortlisted as per merit which will be displayed on the CASB Web Portal www.airmenselection.cdac.in on a stipulated date will be called at designated Airmen Selection Centre for Physical Fitness Test (PFT) which would consist of 1.6 Km run to be completed within 06 minutes and 30 seconds. Candidates will also have to complete 10 push-ups, 10 sit-ups and 20 squats within the stipulated time to qualify in the Physical Fitness Test. Note: Candidates are advised to bring their sports shoes and shorts/Track pants. Adaptability Test-1 (For both Group ‘ X’ & Group ‘Y’ Trades) All candidates who pass the Physical Fitness Test (PFT) will have to undertake Adaptability Test-1 (objective type written test) which is to assess suitability of a candidate for employment in the IAF which involves deployment in varied geographic terrain, weather and operational conditions. Adaptability Test-2 (For both Group ‘ X’ & Group ‘Y’ Trades). All candidates who pass Adaptability Test -1 will have to undertake Adaptability Test-2 as per policy in vogue. Adaptability Test-2 is to select candidates who can adapt to the environment of Indian Air Force and are able to adjust to the military way of life.